Once our family became involved with Pack for a Purpose, we knew we wanted to participate every time we traveled. We started planning a trip to Aruba long ago. This time, my brother and I collected funds from friends to pool with our own and went shopping for items on the request list posted by the Children’s Home of Imeldahof. 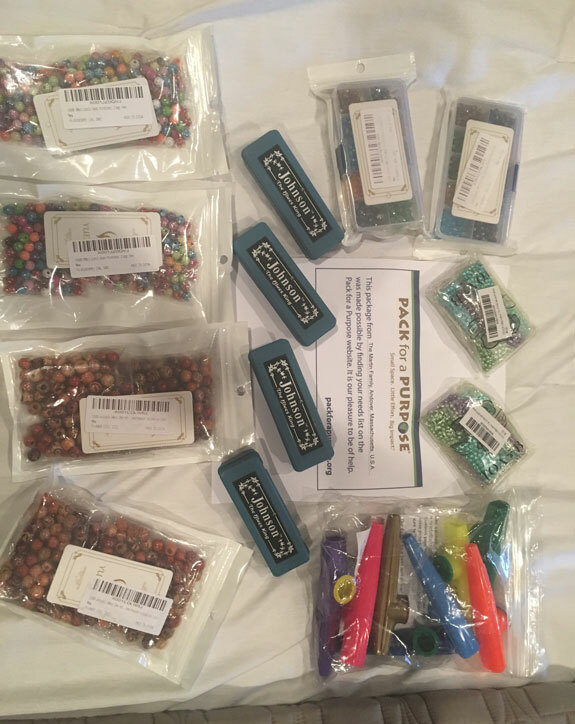 We were proud to purchase over 4200 beads, two beading kits, eight kazoos, and four Blues King Harmonicas. Unfortunately, I am now unable to attend the trip, but my grandparents will bring them for me!